All great guitar players, at some point in their lives, started at an acoustic guitar. Whether it’s nylon classical or steel-string acoustic, the experience of holding one for the first time is always a happy and good memory. It lets you recall one good thing that you did in life: how you started on your guitar playing journey. 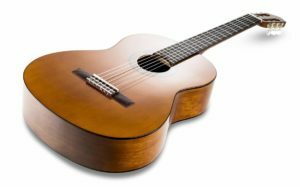 In this article we’ll help you find the best acoustic guitar according to your needs. As you start to learn more about the tricks and curves of playing the acoustic guitar, there would be several factors that you need to understand better. And as you reach a more advanced level of playing, the more technicalities you’ll have to face. But don’t fret: playing the guitar is fun and not that hard once you put your heart and soul into it. 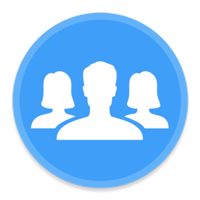 Develop your skills by considering some questions. Start with what type of genre you’re getting into. It will then be your guide from which books to buy, to who are the best teachers (with the expertise in your chosen genre) to deal with. One of the most important things that people overlook is what type of acoustic guitar they should be using. This article will give you the facts, as well as the pros and cons, of the best acoustic guitar models around. Whether you are just starting out, or even if you’re already a professional musician, this list will help you make a wise decision. What is your price range? How much money are you willing to spend? This is important to nail down before you go down into the store. 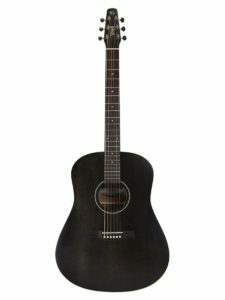 If you are getting it online, you should check out the price of the guitar you like and its reviews on the internet for your reference, so you won’t end up owning a guitar that you don’t actually want. Always spend as much money as you can on a good quality acoustic guitar upfront. The higher end guitars are expensive because of its quality, and much more work and labor have been given to the instrument. But you should also take note that not all expensive guitars are good. You should really take a good look and feel on it before making any decision. A more expensive guitar can sound nice, depending on the brand and it can also inspire you to sit down and give more practice hours for your guitar playing skill. 2. What style of music do you want to play? What tone are you going for? Country? Folk? Rock? Pop? All these questions are added up for you to be able to understand what guitar you are purchasing. The choice of genre or style will help you find a suitable guitar for yourself. There are tons of the Jumbo or Dreadnaught the Concert Styles. Bigger guitars are going to sound bassy and fuller. On the other hand, smaller guitars will provide a brighter and more mid-ranged tone. With that said, it falls on the style of music you are going into. 3. What is your stature? Dreadnaught guitars fit large folks perfectly and have lots of low-end sounds, much thicker and purposely really good on playing rhythm. Stature doesn’t really concern your playing, comfortability does, and if you’re comfortable with a guitar and likes its soun, then it is the one for you. Tl;Dr : This is by far the best acoustic guitar out there. The only downside is it’s too expensive. Now to understand more about the Taylor 214ce, let me talk about the size and stature of this guitar. This is a concert series guitar size, perfectly fit for small to medium statured folks. The Taylor 214ce Deluxe has a solid Sitka Spruce Top. It also has a layered rosewood on the side and back on both outside and inside of the guitar. The neck is mahogany that gives a smooth feel and makes a very strong neck. The fingerboard is ebony that contrasts with the mahogany color. The tone of this guitar is a mid-range with a brilliant low register tone fit for folk music, country, and even pop. This is a good guitar to start with and even to be played professionally in a live-gig or studio recordings. Con(s): This model is too expensive, so if you’re just a beginner, you could always check out much affordable ones before moving on (and are ready for professional playing) to this kind of guitar. The Baby Taylor Mahogany acoustic is a compact 3 quarter sized dreadnaught acoustic guitar that lets you play wherever and whenever you want. This is perfect for both kids and adults who love to travel, as what it is made purposely for. The guitar is made up of mahogany for the top and layered Sapele on the side and body. Surprisingly this guitar is loud compared to its size. The tone of the guitar is quite bright and can cut through noisy places easily. 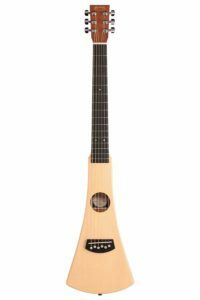 Indeed, this is a quality small travel acoustic guitar for both beginners and experts on the road. This guitar has a great exceptional tone with really smooth neck for great playability. 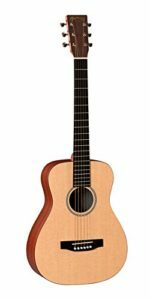 It offers a solid spruce top with wild solid tone wood for the body, back and sides, both for lightness and maximum resonation. The guitar produces a warm but detailed tone, yet is really narrowed down for travel and easy carry. It features a 24-inch scale length but is cut down to 15 frets to make it shorter thus having it light and almost weightless. Con(s): This guitar will definitely work like heaven but is really expensive and would cost you tons of cash. You could always settle for high-end ones that are relatively budget friendly. But of course a good guitar is really worth spending on. The Oscar Schmidt OG1-A-U Acoustic Guitar is a one of a kind guitar that is engineered for maximum playability. It is finished with a shiny high-gloss natural finish with really great aesthetics. It is also packed and made with a engineered tech-rosewood fretboard for very easy, light weight, pressure free chords. It is also available in a wide variety of colours, and is loaded with beautiful chrome hardwares. A perfect guitar for the budget, a bang in the buck! Con(s): I would have to say it just needs a little care away from harmful environments. The wood tends to be sensitive to extreme weather conditions such as heat and cold. The Martin LXM is a little campfire guitar made for travel. This guitar is very cool and easy to carry. It has a spruce high-pressure laminate top back and sides. The guitar has tons of volume appropriate for its size and is fun and easy to carry around, especially for small framed people. This iconic brand-guitar is perfect for camping playing bluegrass and country style music. Having said that, the guitar is quite sturdy and tough. Recommended for kids and for family travels. Con(s): The thing with this guitar is that it doesn’t quite fit a large statured person. The price is quite expensive too. The Fender acoustic guitar is a genuine product out from the US. This is an all mahogany guitar perfect for beginning to intermediate guitar players. It is also suited for professional gigging musicians. 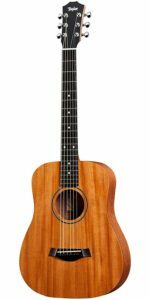 It features a single-cutaway body for perfect upper register access, it also has a very warm sound from a solid mahogany top. The neck is really sturdy and will give you supreme comfort when playing chords. This guitar is perfect for the outdoor experience. With its huge volume, you can easily sing and play on a camping trip with the family. It is very lightweight and a very beautiful guitar in terms of aesthetics. Con(s): The only concern for this guitar is its vulnerability to weather conditions and thus it needs extra care away from harmful environments like extreme heat or extreme cold. Also the neck is quite hard for the hand. The Fender CT-60S lets you play it easily with a low-action setup. The guitar is very beautiful and carefully attended to. The presence and volumes let it cut through in both unplugged and plugged performances or even in spontaneous jam session at your friend’s place. It is also a short scale guitar and the compact size makes it a perfect instrument to bring along the road. 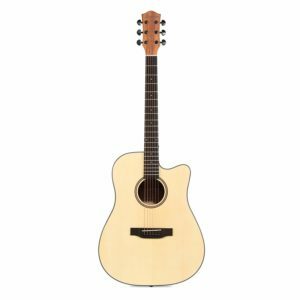 The guitar is loaded with a solid spruce top, an easy to pay neck profile with a laminated mahogany for the back and sides, topping it off with a very elegant rosewood fingerboard. Con(s): Like any other high-end guitar, maintenance is also a factor. Keep in mind that the wood is needed to be cared for, especially on harmful and extreme heat or cold conditions. This is also quite brittle, so it needs much more care than other guitars. The Seagull S6 guitar really demands a hand playing it! The smooth playability and the exceptional tone produced by the company is the best! 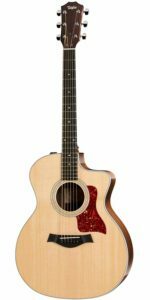 It has a cedar top and a 3-layer wild cherry back and sides that gives you a warm detailed tone. Capping it off that it is handmade, the neck is brilliantly stetted with the body (set neck) and adding to it is the curved top design that offers strength in tuning stability. The design also helps for good projection and resonance. Con(s): The only concern with this guitar is its durability and demands a safe keeping away from harmful conditions. Let’s check out the Fender Dreadnought Acoustic Guitar. This guitar is also well-known because of its classic Dreadnought look. The guitar is mainly built for much larger statured folks and packs quite a volume. The guitar has a laminated mahogany top and spruce on the back and sides, the neck is built with rosewood and has a good bracing on the body capable of producing the natural wood sound of a guitar. This guitar is a must-have for beginning and intermediate players and would provide satisfaction and ease of use. youngster who are starting out to play the guitar. This is a small and wonderful small guitar that tells a big story. It has a solid koa top and layered koa on the back and side. This small guitar makes playing chords easy and is visually stunning. Plus, it also has a really brilliant sound on high-end frequencies. The scale length is 23.5 inches, making it very easy to carry around. 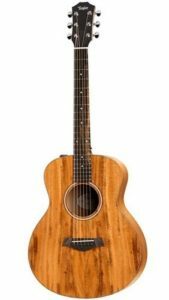 You can see another model of this same guitar, the difference is, it is bundled with Electronic pickups: the Taylor GS Mini-e Koa. The guitar is perfect for kids and travel. Con(s): The Taylor GS Mini Koa performance is overall very impressive, but if you are on a budget, the guitar poses as a really expensive one. You could easily get cheaper ones that could provide good quality tone and volume that would suffice the need of a beginning player. Overall, these guitars vary in price and affordability. 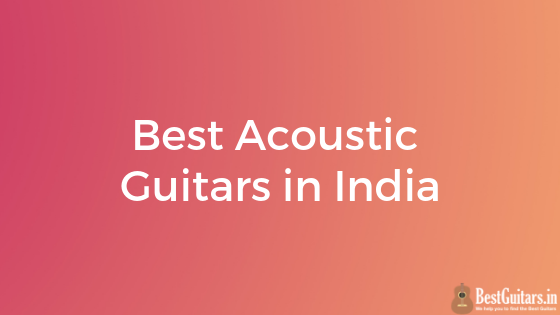 The list of the best acoustic guitars around here consists of good quality guitars flexible on everyone’s budget. The Donner DAG-1C is a perfect guitar for all skill level artist and musician. It has a huge bold sound with a good locking cut-away for easy upper fret access. It is also made with a scalloped bracing and a spruce top packed with laminated mahogany for the back and sides. The guitar is also loaded with really good chrome hardware. The neck provides a smooth feel, so it’s perfect for playing with ease. The guitar has a warm vibrant tone to it and has a smooth satin finish maximising its resonance. It is also imported in the US and is meticulously made with care and precision. Con(s): The only thing with the guitar is its lack of low end tone. The sound is vibrant and bright but lacks the lower registered tone of an acoustic guitar. Planning on buying this product? All great sounding guitars require so much time and effort to create, thus having the price and the quality high. Don’t settle for anything less and always make sure that you’d be willing to spend a decent amount of cash on a proper guitar. Remember that these guitars could also be heirlooms for your family, and even make it to a point where your grandkids could play them. Having a good guitar which you could play from time to time would really be a rich and fulfilling feeling. 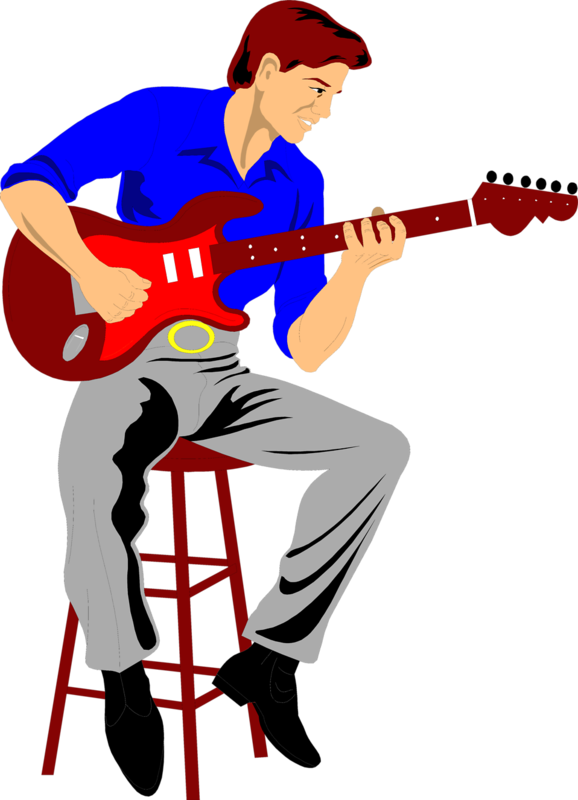 Thus follow your instinct and choose a guitar suitable for you. I hope that this article could be a great help for you!